Backyard Summer Nighttime Sky over New Jersey. 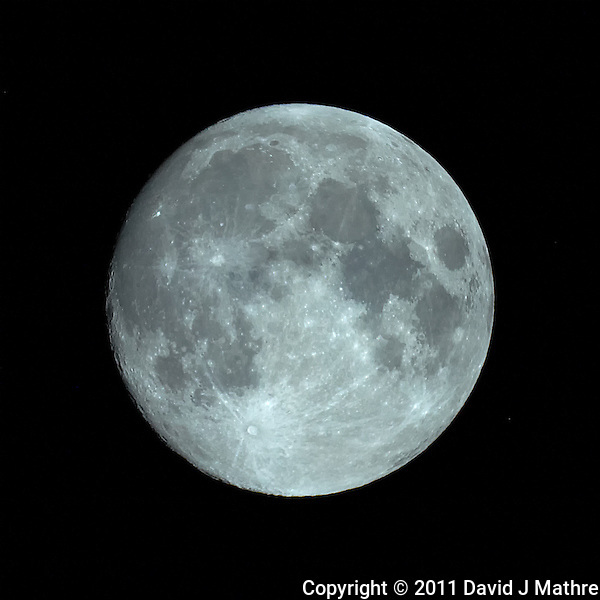 Waxing gibbous moon with 100% illumination (data from the US Naval Observatory site). The full moon is on the 15th. This month the full moon is known as the “Thunder Moon”. Image taken just after midnight with a Nikon D3s camera and Questar 3.5″ telescope (ISO 1600, ~1500 mm, f/16, 1/1000 sec). Raw image processed with Capture One Pro and Photoshop CS5.